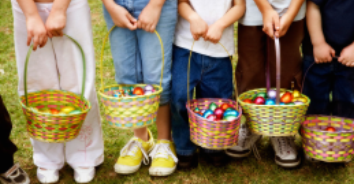 Join us for our annual Easter Egg Hunt and Brunch, held the Saturday before Holy Week. Please meet on the playground promptly at 10:00 am (Rain location: Stapleton Center). A potluck brunch in the Stapleton Center will take place immediately following the hunt.